Smaller sanctuary city jurisdictions are committing to welcome all illegal aliens that President Trump sends their way, should the White House follow through on a plan to bus border crossers to sanctuary cities and states. Last week, Trump threatened to bus border crossers and illegal aliens into sanctuary cities and states, like California and New York City, if the country’s asylum laws were not changed. White House Press Secretary Sarah Huckabee Sanders confirmed that the White House is considering the plan. “Those Illegal Immigrants who can no longer be legally held (Congress must fix the laws and loopholes) will be, subject to Homeland Security, given to Sanctuary Cities and States!” Trump posted on Twitter Monday. City officials with smaller populations than the large metropolis sanctuary cities of Los Angeles, California, New York City, New York, and Chicago, Illinois are likewise saying they will gladly take border crossers and illegal aliens into their communities and neighborhoods. Mayor Lovely Warren of Rochester, New York — with a population of about 208,000 residents — said in a statement that her city would be happy to take border crossers and illegal aliens off the hands of federal immigration officials. Similarly, city officials in Hartford and New Haven, Connecticut — each with populations around 125,000 to 130,000 residents — said their cities would welcome all border crossers and illegal aliens despite their limited city resources. “For as long as I’m mayor, New Haven will continue its open-arms tradition for those fleeing oppression in other countries and for those who seek a better life here,” New Haven Mayor Toni Harp said in a statement to NBC Connecticut. Mayor Luke Bronin of Hartford said it was “fundamental” to his city’s values to accept all border crossers and illegal aliens. Illegal immigration at the United States-Mexico border has soared in recent months to record-setting levels. At the current rate, researchers project that illegal immigration this year could outpace every year of illegal immigration under former Presidents Obama and Bush — with potentially 1.3 million border crossers and illegal aliens arriving in the country. This is in addition to the more than 1.2 million legal immigrants that are admitted to the U.S. every year. Through increased immigration enforcement, Trump has secured a four percent wage gain over the last 12 months for America’s blue-collar and working class. 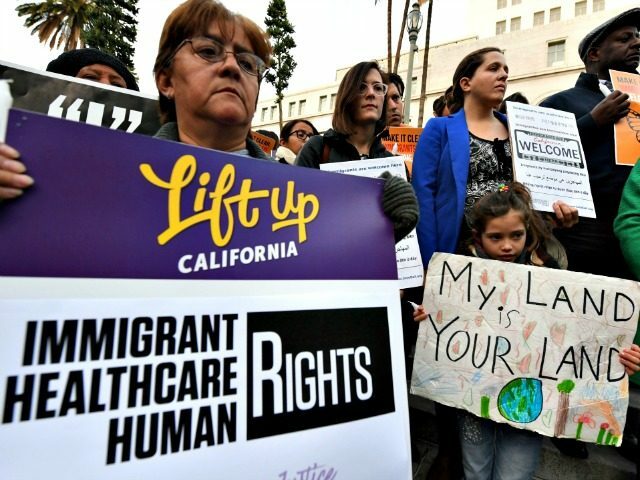 Experts have warned that if illegal immigration levels continue to soar over this year and throughout 2020, those wage hikes will be choked by a saturated labor market with more cheap, foreign workers competing against Americans.